Only four teams remain in the battle for the National Premier Leagues NSW Championship and the pressure is heating up. The first week of the finals delivered plenty of excitement and a heap of twists and turns as favourites Blacktown City and APiA Leichhardt Tigers were both defeated. While the loss meant Blacktown was eliminated, it was a serious warning for APIA who stay alive and will this week take on Rockdale City Suns at Lambert Park. In the weekend’s other match, a grand final berth is on the line as Premiers Sydney Olympic host Sydney United 58 at Lambert park on Sunday. WIth only two weeks to go until the grand final the stakes are high and both matches are sure to go down to the wire. There are no more second chances for APIA Leichhardt Tigers as they host Rockdale City Suns this Saturday. APIA has hit a rough patch of form at the wrong time suffering their second straight loss in as many weeks last weekend against Sydney United 58. They will be desperate to get their Championship hopes back on track against a resurgent Rockdale City Suns who shocked Blacktown City in the Elimination Semi-final. With their opposition flying high after a big win, APIA’s challenge will be to rediscover the magic which made them the record highest scoring attack in league history and deliver a major bounce back performance. one of the biggest issues facing Tigers coach Billy McColl is fatigue with his side backing up from 120 minutes against United 58 and a midweek FFA Cup clash against Melbourne Victory. APIA’s roster is being stretched with players battling fatigue and niggling injuries. Franco Parisi was one of the stand out performers in week one of the finals displaying incredible endurance and composure. A lack of real striking options is becoming apparent at Lambert Park with the departure of Jordan Murray proving to be more difficult to cover than first thought. Their opponents Rockdale will be hoping to make it back to back finals wins and will surely follow a similar high tempo approach as what they used against Blacktown. Harris Gaitatzis struck two goals in two minutes just after the interval last week and the attacking midfielder will once again play a key role in Rockdale’s attack. Alec Urosevski and Bai Antoniou are two other dangerous operators APIA’s defence should keep an eye on. How Rockdale’s defence holds up is the biggest question mark around the visitors leading into the clash. APIA has had Rockdale’s measure this season with two comprehensive wins against the Suns in their two league meetings so far. In round five APIA cruised to a 5-0 thrashing of Rockdale at Ilinden Sports Centre before defeating them again 4-1 in Round 16 at Lambert Park. While Rockdale has struggled against the Tigers this season come finals time it all goes out the window. Newly crowned NPL NSW Premiers Sydney Olympic will be looking to the Grand Final express lane as they set out to book their ticket to the decider in their first finals game. The Abbas Saad coached side is full of confidence and inspired to make this season one for the history books by claiming the Premiership and Championship double.  Standing in their way will be Sydney United 58 who shocked competition favourites APIA Leichhardt Tigers last week in a game littered with twists and turns. Despite having the week off, Olympic used their week off for a tune-up game against A-League side Central Coast Mariners and will be firing on all cylinders this Sunday. Saad has his team playing an exciting brand of football with attacking weapons Max Burgess, Radovan Pavicevic and lead goal scorer Alejandro Sanchez the ones to watch. Olympic is not all out attack with their defence marshalled by breakout star Tom Whiteside in central defence as well as veteran shot stopper Paul Henderson. They will need to be at their best to hold out United 58 who proved last week that their attack doesn’t just start and finish with injured star Panny Nikas. Patrick Antelmi fulfilled his promise pregame of being an x-factor for his side and was in everything against APIA. Thomas Manos in goals had a herculean performance between the sticks for The Reds and will once again be a tough man to beat. in their previous two meetings this season, Sydney Olympic has been victorious both times. in round 11 Olympic played out a 2-0 win at Sydney United Sports Centre while in Round 22 Olympic clung on for a 1-0 win at Belmore Sports Ground to be crowned Premiers. While the loser will have a second chance at making the grand final, both teams will be focused on securing their spot in this season’s decider. The stakes are high and this match is not one to be missed.